Cherry & Clark Roofing is a premium roofing contractor in Toronto, Toronto, and the GTA. Cherry & Clark Roofing residential and commercial roofing services include: Roof Installation, Roof Tune Ups, and Roof Repairs. They also service: Siding, Soffit, Fascia, Windows, Doors, Insulation, and Custom Metal and Copper Work. 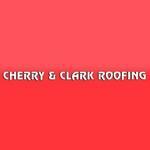 Cherry & Clark Roofing use only superior roofing products installed by experienced tradesmen. Products Carried: Cherry & Clark Roofing offers quality roofing services in Toronto, Mississauga, and the GTA. The leading Toronto roofing company offers a full range of residential and commercial roofing services, as well as Siding, Soffit, Fascia, Eavestroughs & Downspouts, Windows & Doors, Insulation, and more. At Cherry & Clark Roofing, customers can expect an expertly installed roof that's able to withstand Ontario's harsh climate.